Stardust awards held in Mumbai on Sunday night. Katrina Kaif shakes her body to the famous number ‘Sheila Ki Jawani’. Sonakshi Sinha sets the stage on fire with her rocking performance. Neha Dhupia exposes her cleavage in the pretty gown that makes her look sensational. 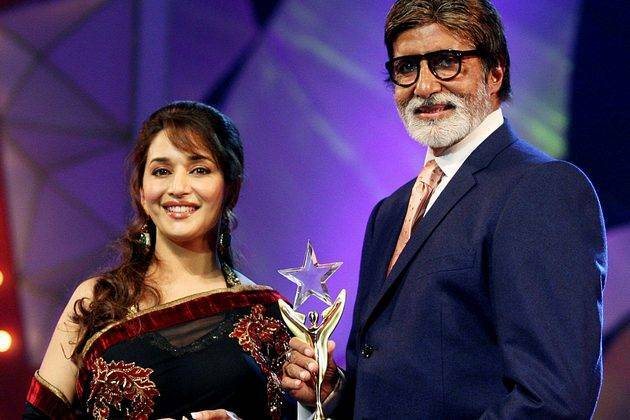 Madhuri Dixit and Amitabh Bachchan grace the award show with their mere presence. Sonakshi Sinha reserves a seat next to Twinkle Khanna and Akshay Kumar, guess she is getting to know her ‘Joker’ co-star. Katrina Kaif attends the award show with her little sister Isabella.